The Eastern Chapter of WEDA represents Bermuda, Connecticut, Delaware, Florida (East Coast) Georgia (Eastern), Maine, Maryland, Massachusetts, New Hampshire, New Jersey, New York, North Carolina, Pennsylvania, Puerto Rico, Rhode Island, South Carolina, Vermont, Virginia, Washington, DC, West Virginia, Virgin Islands and Quebec, New Brunswick, Nova Scotia, Canada. Wednesday (10/16/19)afternoon will start the program with an opportunity to take the Dredging 101 course. That will be followed by an Ice Breaker from 6-9 PM. Location: The Hotel DuPont is an architectural icon internationally renowned hotel, and the pride of Delaware, Hotel DuPont has many stories to tell. 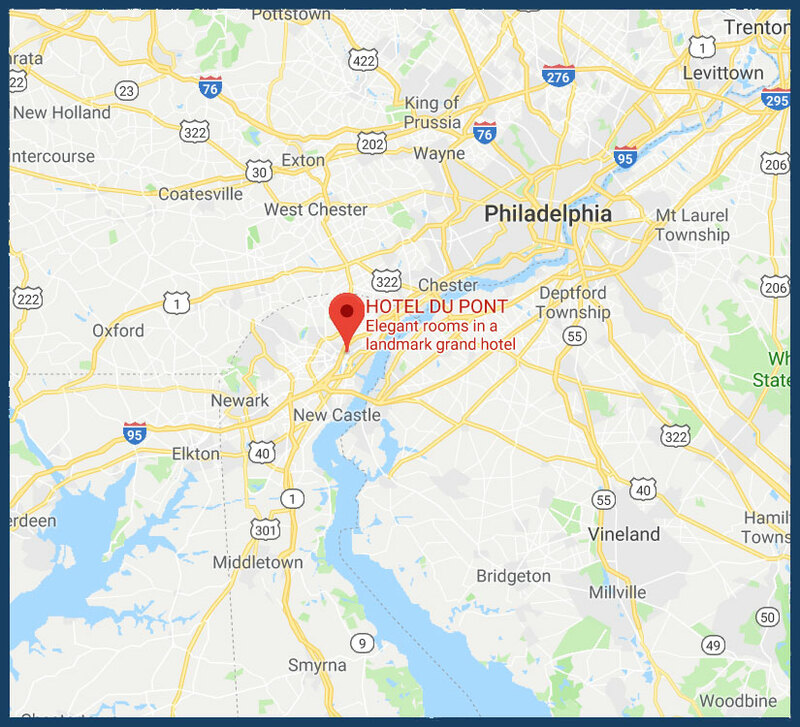 Nestled in the heart of Wilmington, Delaware and the picturesque Brandywine Valley, one of the country’s grandest hotels is as rich in history and tradition as it is in atmosphere. The twelve-story Italian Renaissance building debuted in 1913 after a two-and-a-half-year labor of love by French and Italian craftsmen who carved, gilded and painted this exceptional landmark to life. From the lavish splendor of the lobby to the shimmering majesty of the Gold Ballroom, every detail speaks to an eye for flawless style. Hotel Reservations: The hotel reservation link will be distributed out and posted here when available. Gov't Employee: $200 Sponsorships: Opportunities will be sent out in the coming weeks. We are going to develop some different ways for members to promote themselves and allow them to select different items/events to support and to allow the sponsors to show their wares. Andrew TimmisJ.F. Brennan Company, Inc.
President Andrew A. Timmis J.F. Brennan Company, Inc.